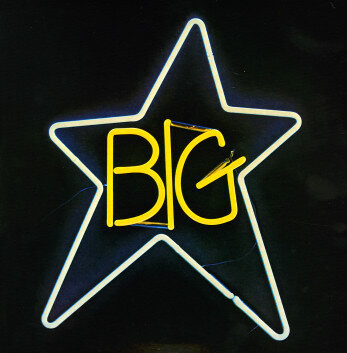 Third, also (since 1985) issued as Sister Lovers, is the third studio album by American rock band Big Star. It was recorded in 1974. Though Ardent Studios created test pressings for the record in 1975, a combination of financial issues, the uncommercial sound of the record, and lack of interest from singer Alex Chilton and drummer Jody Stephens in continuing the project prevented the album from ever being properly finished or released at the time of its recording. It was eventually released in 1978 by PVC Records. Big Star’s Third is a full performance of the iconic album by an astonishing who’s who of rock music featuring famed vocalists including Sharon Van Etten, Kurt Vile, Marshall Crenshaw, Pete Yorn, Reeve Carney (Spiderman: Turn Off The Dark), Jonathan Donahue (Mercury Rev) and Becky Stark (Lavender Diamond), supported by an all-star band including Mike Mills (R.E.M.) on bass; Mitch Easter (Let’s Active), Chris Stamey (The dB’s), Ken Stringfellow (The Posies, Big Star) and Richard Lloyd (Television) on guitar; Dale Baker (Sixpence None the Richer) playing percussion; Charles Cleaver on keys; Django Haskins (The Old Ceremony), Brett Harris and Skylar Gudasz on harmony and guitar; and original Big Star member Jody Stephens on drums, all backed with a twenty-piece chamber orchestra including famed cellist Jane Scarpantoni and the Uptown Horns. In addition, the concert will feature a selection of earlier songs, including the much-hailed “September Gurls” and “In The Streets” (which was used as the theme of the popular TV sitcom “That ‘70s Show,” performed by Cheap Trick). Originally released in 1978, Third was written and recorded when the band was primarily a studio project consisting of Alex Chilton and Jody Stephens of the legendary Memphis rock band Big Star. The original members drew on the musical styles of British Invasion groups while adding their own dark, cathartic themes to Carl Marsh’s groundbreaking string arrangements. The album, while long out of print, inspired the alternative rock bands of the 80s and 90s via shared mixtapes passed hand to hand. The Replacements famously released a song “Alex Chilton” that paid tribute to his songwriting genius. R.E.M.’s Peter Buck said, “Big Star served as a Rosetta Stone for a whole generation of musicians.” Third is included on Rolling Stone’s “The 500 Greatest Albums of All Time”. Experience this classic of late 70s power pop through the prism of a one-of-a-kind collective of immensely talented fans of one of the most influential American rock bands ever. BIG STAR: NOTHING CAN HURT ME is a feature-length documentary about legendary Memphis band Big Star. While mainstream success eluded them, Big Star’s three albums have become critically lauded touchstones of the rock music canon. A seminal band in the history of alternative music, Big Star has been cited as an influence by artists including REM, The Replacements, Belle & Sebastian, Elliot Smith and Flaming Lips, to name just a few. With never-before-seen footage and photos of the band, in-depth interviews and a rousing musical tribute by the bands they inspired, BIG STAR: NOTHING CAN HURT ME is a story of artistic and musical salvation. BIG STAR: NOTHING CAN HURT ME Opens July 3rd at the IFC CENTER. Also available On Demand and on iTunes starting July 3rd.